It has become clearer on the doorstep that support for UKIP is becoming wider and firmer as we approach the 2015 General Election. A final push over the last few days could make the vital difference between winning or second place. A tiny difference in number of votes, but a seismic difference to the actual result. Please use the contact details at the top right of this page for any of the above. I have now attended several ‘Hustings’ with the other North Dorset Parliamentary Candidates. What has become more apparent than ever is how similar the Lib Dem, the Conservative and the Labour messages are. The Lib/Lab/Con has really converged into a single ‘Social Democratic’ type pro-EU entity. Whilst they attempt to play on their differences, there is nothing of any real substance. They all agree, the EU is wonderful. They all say ‘reform’, but never ever mention exactly why or what they want to reform when they think it is so wonderful. 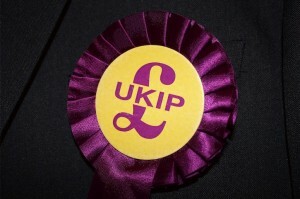 Only UKIP give a choice – we are better off out. They all concede UK’s national debt has doubled in the last five years to over £1.5 trillion and some relative tinkering at the edges will do next to nothing about it. Only UKIP has an independently assessed manifesto detailing the budgetary impacts of its policies. They all agree current levels of Foreign Aid should not be touched, even though they all admit we are sending millions of pounds to countries with their own foreign aid programmes, who send rockets into space and even have nuclear weapons capability. UKIP will cut the budget by £9 billion a year, on a par with the USA – supporting genuine disaster relief, prioritising clean water, health care and inoculation. Spread the message. Tell all your family, friends and neighbours that if they want to see real change at this election, they need to think differently, do differently and vote UKIP.